I’m going to try to get back to writing these, I used to write them a couple of years ago and will probably not have time again this year. But while the Browns are losing I’m willing to take my mind off the NFL and focus on something that has had some success this year. Bearcats football. 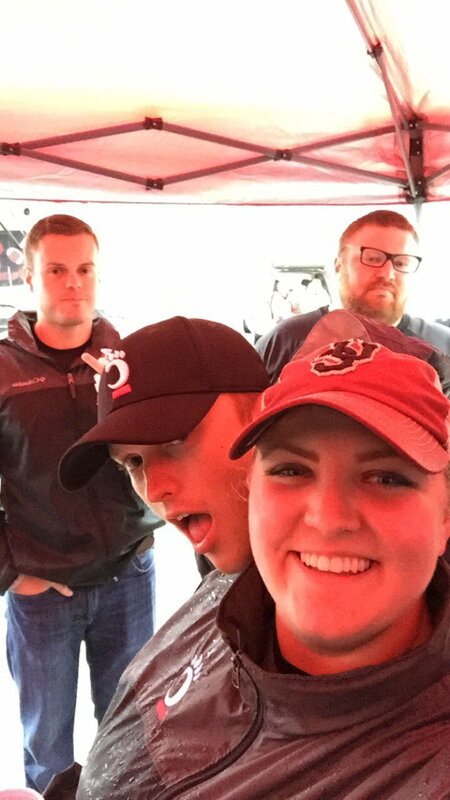 It was wet and a bit cold yesterday, but that didn’t stop Bearcat Nation from getting out and tailgating. As you can see above there were trailers, RV’s, Van’s and tons of Bearcat spirit. We were able to fire up our new grill and deep fryer and make some burgers and fries for about 25 of our guests. Our new speaker was loud, the TV worked, and everything went smooth despite the weather. The Bearcats were able to shutout the RedHawks and keep the bell for the 13th year in a row. Death, Taxes, UC Beating Miami. It looks like under Luke the Redhawks chance to steal the bell are gone. Thank you so much to everyone who donated money/liquor and showed up to party! We spent most of the day trying to keep dry and not as much drinking and playing games. It looks like our next game’s weather will be much better and I can’t wait to get back on campus!